This photo is from Craig Gerbert. Craig says "I thought I was the only one who thought pylons were cool!" 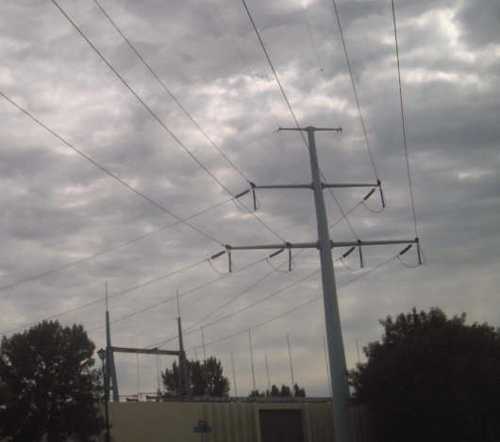 This pylon is at the entrance to a substation.